A 3 day celebration welcoming Chinese New Year will take place to mark the 20th anniversary of Liverpool's twinning with Shanghai. The City's Year of the Pig festivities will start on Friday, 8 February 2019, with a focus on the Chinese Arch, which was gifted to the City by Shanghai 20 years ago as a symbol of the twinning relationship. From 7pm on the 8 February and 9 February 2019, there will be lion dancing and Chinese influenced street theatre in and around the Arch, which will build up to a unique projection and pyrotechnic show at the Arch, and on surrounding buildings. Called The Quest for the Arch, the projections follow the journey of a little girl and a pig from Shanghai to Liverpool. The soundtrack will provided by musician and composer Jah Wobble and will feature a live element to the performance. It will end at around 7.45pm. The Chinese Arch street entertainment, the lumiere and pyrotechnic show will also take place, on Sunday, 10 February, 2019, from 6pm. The footage below is what it was like last year at this fantastic event. 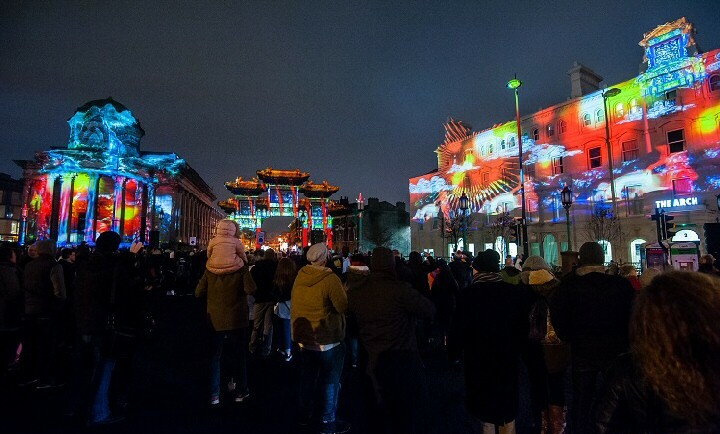 Building up to Sunday's main day of celebrations, from 28 January 2019, thousands of Chinese lanterns will adorn City Centre streets and Chinatown, and a number of buildings including Street Luke's Church (the Bombed Out Church), Everyman and Playhouse Theatres and Sefton Park Palm House will turn red in homage to China. Sunday, 10 February 2019, will see the usual traditional celebrations take place, which last year attracted around 25,000 people. 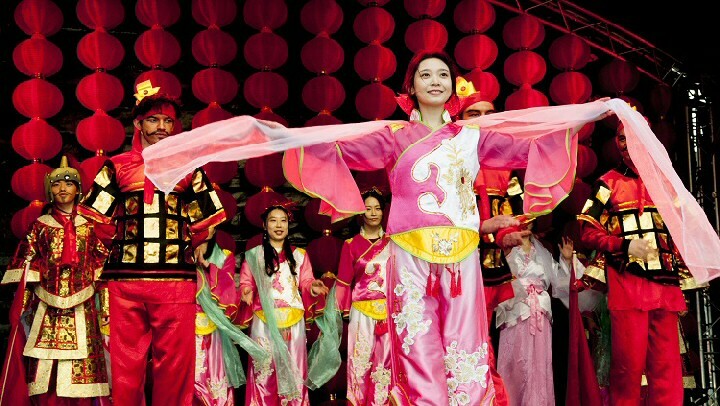 They include a number of street and stage performances, family workshops, a fairground, parades, firecracker displays and of course the popular Chinese market on George Street selling gifts, souvenirs and mouth watering Chinese food. 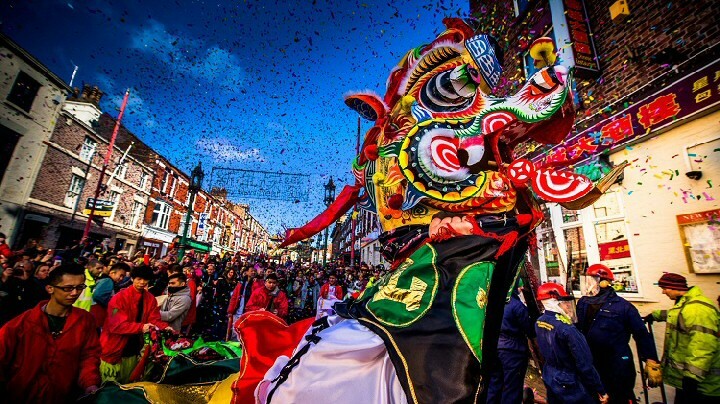 Deputy Mayor and cabinet member for culture, tourism and events, Councillor Wendy Simon, said:- "The Chinese New Year celebrations are a wonderful way to kick start the annual events calendar. This is a particularly special year as it marks the 20th Anniversary of our twinning with Shanghai. This global friendship was built on historic trade links, and today we maintain a partnership with China which furthers investment and development for both parties. The projections will, literally, shine a light on the Arch; a symbol of our friendship. We have seen in previous years how popular the lumiere is; and this year's beautiful work will be no exception. It will undoubtedly be a wonderful few days and an opportunity for people to come together to celebrate our much-loved Chinese community." The event is organised by Liverpool City Council and is supported by Liverpool Chinese Business Association, the Liverpool BID Company, Liverpool 1 and Royal Liver Building 360. Digital experts Illuminos have created the lumiere 'The Quest for the Arch' in partnership with Pagoda Arts, First Take and Jah Wobble. The full list of buildings lighting up red are:- Street Luke's Church (Bombed Out Church), Central Library and World Museum, Town hall, Cunard Building and Street George's Hall, Everyman and Playhouse Theatres, Liverpool One, Moorfields and James Street Stations, Martin Luther King Building, Royal Liverpool Albert Dock, Open Eye Gallery, Port of Liverpool Building, Sefton Park Palm House, The Arch, Toxteth Library, Unity Theatre and key Wirral buildings such as the tower at Wallasey Town Hall, the panoramic lounge at the Floral Pavilion and the Queen Victoria monument in Hamilton Square. For more information about timings, activities, family workshops or the projections, visit:- CultureLiverpool.Co.UK/CNY. Fact File... Did you know? Liverpool's Chinese Arch is 13.5 metres high, is the largest in Europe and the tallest standing in any Chinatown outside of mainland China. Also did you know? Stonemasons, carvers, painters and construction engineers travelled to Liverpool from Shanghai, in October 1999 to reconstruct the structure, which was imported piece by piece. It is made of wood and marble and decorated with gold, red, green and the Chinese Royal colour of yellow. The Arch became the focal point for its 1st Chinese New Year the following February, in 2000. Also the 188 dragons and 12 pregnant dragons on the Arch are symbolic of good fortune between Liverpool and Shanghai. "MY name is Rose Marshall and I live and work in Southport. The reason I have contacted Southport Reporter is that their are millions of people in the world, but for some, cancer is a major factor within their lives. Often they do not like to talk about it and for some they also suffer the traumatic experience of loosing hair, due to cancer treatment and other illnesses. I can't imagine what these poor children go through, the, pain, suffer, and strength they have is amazing. For that reason I am going to support the:- 'The Little Princess Trust.' (Charity No. 1176160) Many of their supporters complete all sorts of challenges and events in aid of the Trust, but often they choose to organise a sponsored haircut. There for I have decided to donated, my hair to these children and young adults up to the age of 25. A Red hair would cost up to ₤800 up to a huge ₤3000 to make a real red hair wig. I'm not getting it fully cut off, but will have between 17cm to 30cm taken off, so that it can be made into a wig. 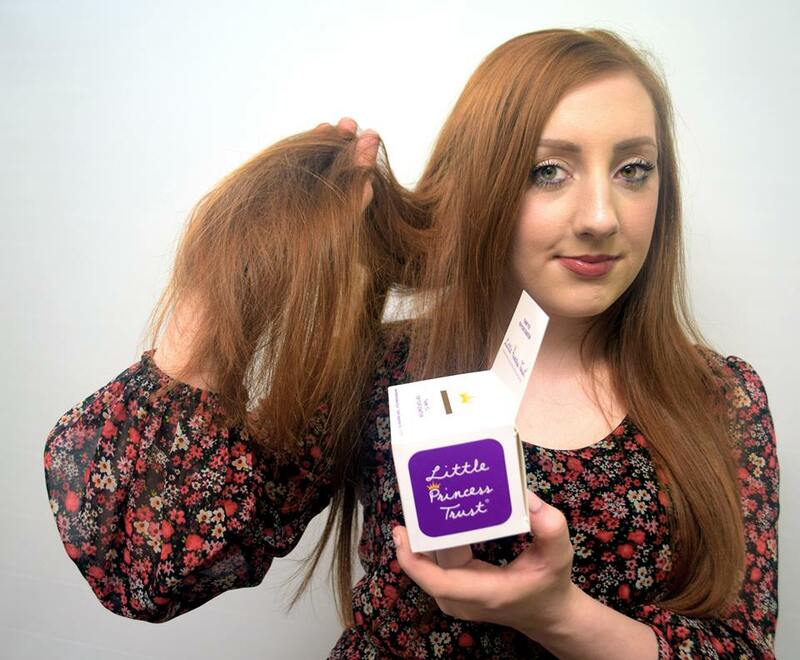 Sadly, around 4"/10cm is lost when a wig is made because of the knotting process, so I'm growing my hair as long as possible to allow this to happen, but in the mean time looking for as many people to sponsor me as well. That way I can also make a donation to the charity. If you can help me to raise funds for the Trust via sponsoring me, I will be putting donation boxes in various places around Southport, very soon. I also will be having the hair cut at Element 5, Southport, later in the year, so that my hair is long enough. Sadly I can not do it in public, as the hair has to be kept clean and uncontaminated, as they have very strict rules on what they can accept. But I will be posting a video and having photos taken of this taking place, so you know it has happened. To find out more about The Little Princess Trust please visit their website:- LittlePrincesses.Org.UK More information to follow very soon. ON Thursday, 17 January 2018, Jean Luc Courcoult; the man behind the 3 unforgettable Giant Spectaculars received the highest accolade Liverpool can bestow. 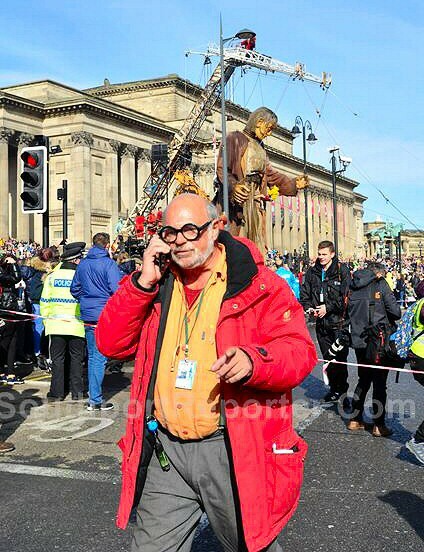 The creative director who wowed more than 3 million people with Sea Odyssey, Memories of August 1914 and, the final act of the trilogy, Liverpool's Dream, received Freedom of the City, at St George's Hall, Liverpool for:- "his outstanding contribution to the City." At the same time, the Nantes based company he founded:- 'Royal de Luxe,' was also admitted to the Freedom Roll of Associations and Institutions. The honour comes following October 2018's Liverpool's Dream event which has been hailed as the region's biggest, and most successful ever free event, attracting 1.3million people and generating ₤60.6m for the local economies. Jean Luc said:- "I'm touched and overwhelmed by this recognition. Liverpool holds a very special place in my heart. Audiences embraced our Giant family, and there was no other City where we wanted to do the final ever show. I would like to thank the Mayor and the Council for giving myself and Royal de Luxe this accolade; it is a career highlight and a memory I will treasure for years to come." Mayor of Liverpool, Joe Anderson, said:- "Seeing 1st hand the impact of a major cultural event on people who live, work and visit this great City is always truly humbling. On three occasions, Royal de Luxe and the creative genius that is Jean Luc brought our City to an awe struck standstill. The Giant family became part of our family; we welcomed them into our communities, explored City streets alongside them, cried with them and laughed with them. This City shone under the international spotlight and the Freedom accolade is a chance for us to say thank you for transforming our streets and transporting an audience of millions to a magical world with this world class art." Lord Mayor of Liverpool, Councillor Christine Banks, said:- "As 1st Citizen, I am massively proud to award the Freedom to both Jean Luc and Royal de Luxe. The creativity they have brought to our streets since 2012 is unforgettable; they have touched the lives of millions of people and been responsible for images of our City being beamed around the world." To see our coverage of the 3 unforgettable Giant Spectaculars, please follows the following links:- 2012 - 2014 - 2018.